I can't sleep and found my GTI's old steering wheel, which was rare, it was a 94 GTI non-airbag & leather steering wheel. And then I saw the Rare parts thread both on Bimmerforums and VWvortex, so it got me thinking, what rare Volvo parts you have? ones that I possibily would like to kill you for, like a 740 GT steering wheel Dan has, or a R-sport 16v dohc head? factory 16v grey import? original Grp A poster with signatures? post pix with them too, I know Towery has tons, so does tuff240. 1991 Volvo Accessories brocher in French! 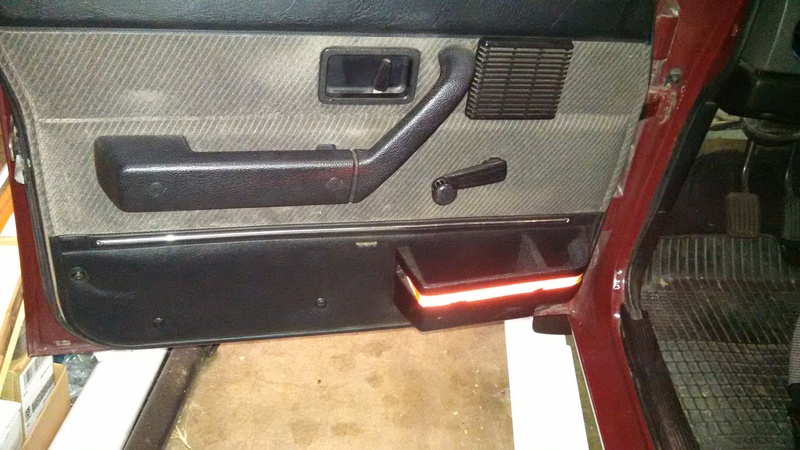 brand new OEM Volvo SE foglight kit with switch that I'm thinking if I want to use it. Hova tails, eggcrate grille? is that even rare in this continent? custom made Hamann knock off wheels. Oh, I have e-codes that have level adjuster. And my car was made in Belgium! things that are rare in my book incld: BBS RS that's on the wagon, original optional Polaris, and just whatever funky euro parts you got, prefer OEM, but post 'em if you got 'em. link to my brocher attachment. Last edited by Chigga 744SE; 01-06-2006 at 03:24 AM..
Last edited by dmcgee; 08-02-2008 at 11:35 PM.. I don't know that I have anything amazingly rare but.. The 245 had the bottom of the dash mounted coin holder and the mounting stuff for the cargo cover when I junked it. Does a GRP-A wing count? that's not rare, I saw a B19 in a 242DL once, now that's mess'd up. E-codes, Rear decor panel, cup holders , glass roof, chrome trim eggcrate, and the car is in damn near perfect condition . My car: base model '84 242 DL non-turbo B23F. Late production R-sport stage 3 head on my PV's B20. Rare parts? none really to mention. ...so does mine! the passenger went at some time, awhile back. Hey chigga, can you get me a larger scan of that red 740 in that packet. That car is stunning! 2nd Gen Turbo+, belgium car, m46 in a 90+ 740! round fender mender > round fender sender > round fender spender? Mine has 2 uber rare volvo parts! and M90 and oil squirter's lol 1996 945 for teh win!!! All non turbo 200's went to efi from K-jet in 83. Hmm, R-sport cluster, GT door pockets in the 140, 140 accessory booklet, 740 cupholder armrest, and I think that's about it. Last edited by gsellstr; 07-10-2017 at 10:40 PM..
not much... R-Sport steering wheel, dealer installed map-reading light over passenger seat, coin tray with spring-lid on upper left dash corner, oil-temp gauge. a factory wood dash, a rare black leather-trimmed s70/s90 cupholder, s90 side skirts, a busted pair of aftermarket e-codes, and a collection of eggcrate grilles (none of which fit my car, pm me if you're interested).